Blue paper-covered cardboard box, containing a book : white cloth-covered boards (hardcover), 24 x 17,5 x 5,5 cms., (432 pp.) 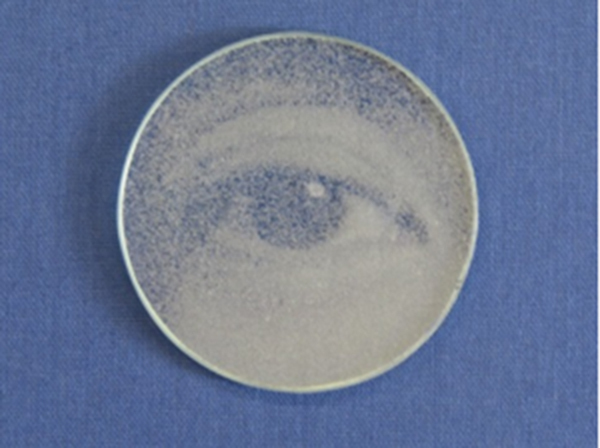 text with coloured plates , + a cd housed in a white cloth-covered cardboard holder, accompanied by an blue cloth-covered cardboard holder with a stained Murano glass showing an eye of Yoko Ono. 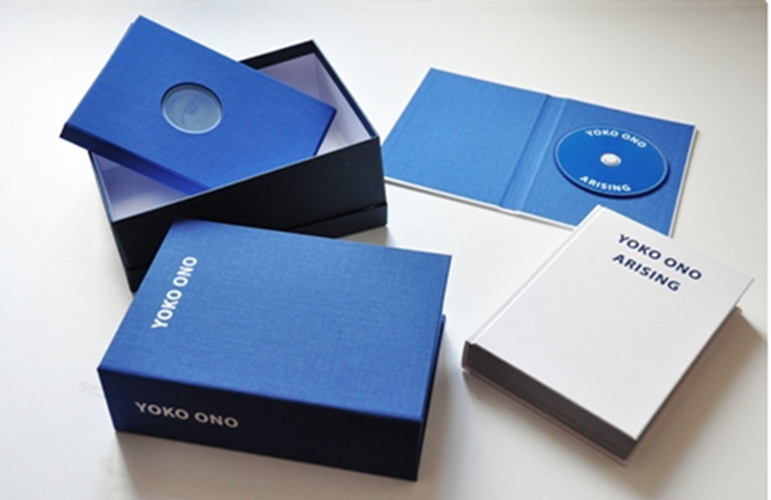 All three kept together in a blue cloth-covered cardboard cassette.